Uddhav Thackeray accompanied Amit Shah as he filed papers for the Gandhinagar Lok Sabha constituency, and also shared the dais with him at a rally. "There can not be turncoat tigers..." Sharad Pawar tweeted. 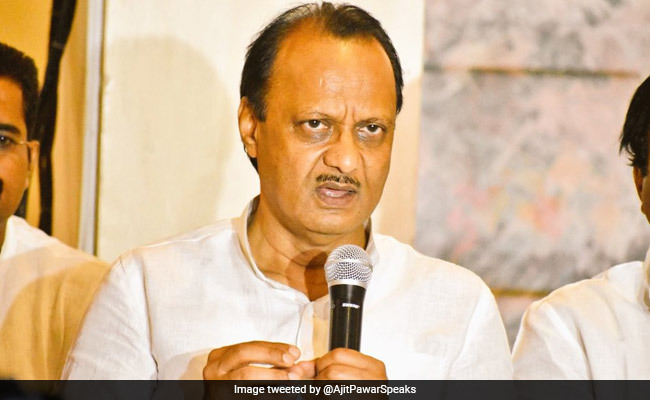 NCP leader Ajit Pawar today slammed Shiv Sena president Uddhav Thackeray who was present when BJP chief Amit Shah filed his nomination, reminding the Sena and BJP of the insults they had traded earlier. Mr Thackeray accompanied Mr Shah as he filed papers for the Gandhinagar Lok Sabha constituency, and also shared the dais with him at a rally. "There can not be turncoat tigers..." Mr Pawar tweeted. The big cat is the Sena's logo. He referred to Sena's vitriolic attack on Mr Shah earlier where it had dubbed him as "Afzal Khan", the Bijapur sultanate general slain by Shivaji, as well as Mr Shah's warning that the BJP can "thrash" an ally if it turned enemy. Interestingly, senior Maharashtra Congress leader Radhakrishna Vikhe Patil avoided criticising the Sena president harshly for taking part in Mr Shah's rally. "Political leaders take a stand as per convenience," said Vikhe Patil, whose son Sujay is contesting the Lok Sabha election on BJP ticket. Earlier in the day, Uddhav Thackeray said the Sena and BJP have sunk their differences. "Amit Shah came to meet me, we held a discussion and our issues were resolved....Our ideologies and hearts are woven together. We have come together because Hindutva binds us," Mr Thackeray said.